Training on Easter Monday, 22 April. Easter Monday, 22 April, is a public holiday and Casey ARC closes at 8pm, so our training will start at 6pm, 1 hour earlier than normal. The following awards were presented at the 2018 Christmas Party. Past winners and the criteria for the awards are on the Honour Board page. The next committee meeting will be 8:30pm Mon 6 May 2019 at Casey ARC after training. This is a very informal meet and one of the few remaining interclub meets in Victoria. Please do not enter the meet as an individual - the club pays for all relays so we will do your entry. We're a group of people united by our love of swimming, with members aged from 18 through to over 70. Our club is part of a worldwide community of Masters swimmers. We range in ability and training requirements from social swimmers through to World Masters champions in the pool, as well as open-water swimmers and triathletes. The sessions are at Casey ARC every Monday and Wednesday night from 7:00pm to 8:30pm. Click here for more details about our squad. 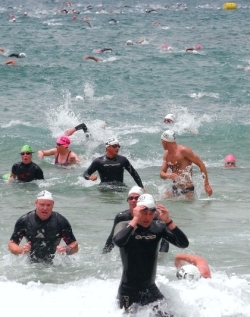 Many of us compete in the open water swimming races held over summer at various beaches around Port Phillip Bay and the ocean beaches around Victoria. Every year we compile the Casey Seals Open Water Swim Calendar, the top source of information on Victorian open water swim events. We are also active in pool competition and are registered with Masters Swimming Victoria. At last count, our members have set more than 20 Australian and 70 Victorian records. We consistently rank highly in the Victorian championships and are the top club in the outer south, southeast and east suburbs of Melbourne. Come along to one of our training sessions and have a chat, or maybe jump in and have a go - your first 4 sessions are free! You can find membership info here. 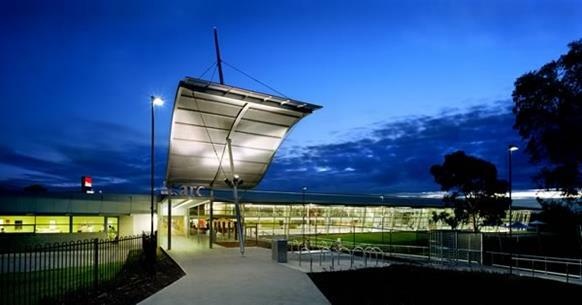 We are based at the Casey Aquatic and Recreation Centre (Casey ARC) in Narre Warren, next to the Fountain Gate shopping centre. Go to the Location page to see maps and directions to the pool. Masters Swimming Australia (MSA) is an organisation for adult swimming clubs around Australia and is affiliated with FINA, the international swimming body through Swimming Australia. Masters Swimming Victoria (MSV) is affiliated with Masters Swimming Australia. Today there are around 30 clubs affiliated with Masters Swimming Victoria, and more than 200 clubs affiliated with Branches of Masters Swimming Australia in each State and Territory in Australia with over 6500 members. Members of Masters Swimming do not have to be expert swimmers, just have a love of swimming and want to join in a group of others who also love swimming. Some people join Masters simply for the fitness, friendship and fun, while others join for the competition available through the many swim meets conducted throughout the State or Australia.